Mortal Engines may have taken little longer than expected to judder into life, spinning its wheels as Peter Jackson and his Lord of the Rings collaborator Christian Rivers juggled various and often conflicting schedules, but with a late 2018 release date in place, the big-screen adaptation Philip Reeve’s YA steampunk saga is making up for lost time. 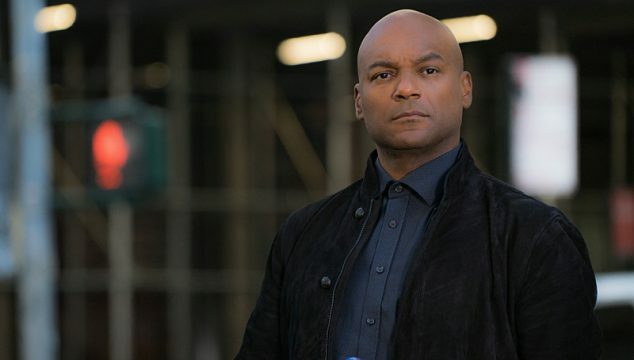 In fact, the cameras are already rolling Down Under, and The Hollywood Reporter brings word that the ensemble cast has made room for three new recruits: Arrow‘s Colin Salmon, Patrick Malahide and Rege-Jean Page. Details on their respective characters weren’t disclosed at the time of writing, but we understand that trio is now set to star alongside Misfits alum Robert Sheehan, Hera Hilmar, Avatar‘s Stephen Lang and the newly-cast Hugo Weaving. Marking the feature film debut of Christian Rivers – Jackson, on the other hand, co-wrote the screenplay with Fran Walsh and Philippa Boyens – Mortal Engines takes place in a distant future in which the remnants of humanity populate giant, mobile settlements known as Traction Cities. Rumbling over the ravaged landscape in search of food and resources, each of these warring cities are built with iconic monuments of a time gone by, and St Paul’s Cathedral-topped London is feared as the apex predator in a world of smaller, weaker cities. Robert Sheehan has been set as Tom Natsworthy (Robert Sheehan) who has “an unexpected encounter with a mysterious young woman from the Outlands who will change the course of his life forever.” That unexpected encounter will likely be with Hera Hilmar’s female lead, though there are precious few details available for her character at this early, early stage. Universal has slated Moral Engines for release on December 14th, 2018.